The small village of Great Creaton lies about 6 miles north-west of Northampton, straddling the old A50 Northampton to Leicester road (now the A5199). It is a typical English village, complete with village green, two churches and of course a pub. St. Michael's Church, or to give it its full name, the Church of St. Michael and All Angels, is a small church located within the village, on the side of a hill, from which there are good views to the north to the grounds of the magnificent Queen Anne house of Cottesbrooke Hall and its renowned gardens, and to the east to the imposing 7th Century Saxon church of All Saints at Brixworth. 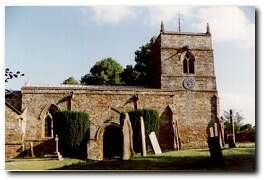 St Michael's most noteworthy feature is the broad, squat clock tower, which dates from the 12th and 13th centuries, which houses a peel of six bells. It may have served as a watchtower and a place of refuge for the villagers in times of civil strife. For more views of the village and additional information see the Creaton Village website. Contemporary references in directories to Creaton give an insight into the life and times of the village and provide useful information for the historian and genealogist. A parish of the Hundred of Guildsborough, 7.5 miles NNW from Northampton. It contained in 1841 505 inhabitants. Colonel Pack is the Lord of the Manor. The living is a rectory in the deaconry of Northampton and diocese of Peterborough rated in the Kings book at £11.1s.8d. Its present value is £210; The Rev John McConnick M.A. is the incumbent. The church is dedicated to St. Michael. 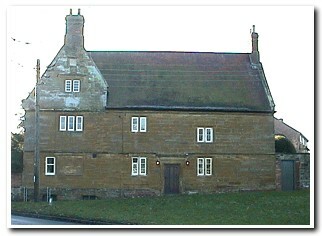 In 1825, 6 cottages were built on a piece of land in the village by Rev Thomas Jone, late curate of the parish, for the accommodation of aged widows. Pop. 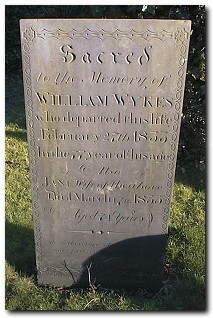 1801 = 341; 1831 = 543; 1841 = 505. Colonel Pack is the Lord of the Manor; The Lord of the Manor and the Rector are the principle owners (Rateable value £1644). In the Doomsday survey it was held by Gunfrid de Cioches - also recorded as Craptone, Creptone and Cretone. There is an independent Chapel in the village and Male and Female schools were created in 1845 at a cost of about £400. Bailey, John, vict. "Horse Shoe"
The independent chapel has a Sunday school attached; the former was built about 1792. There is a residence for the minister near the chapel.